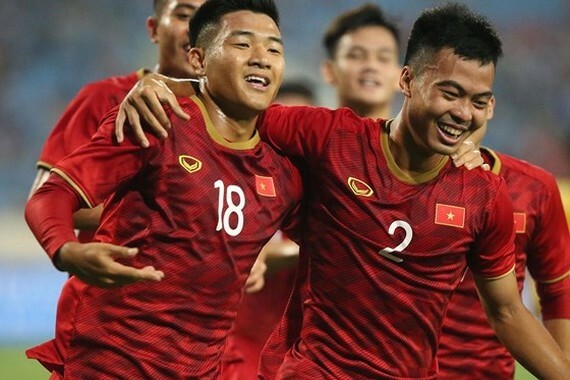 Vietnam national U-23 football team won 6-0 against Brunei team in the opening Friday match of Group K at the 2020 AFC U23 Championship qualifies in My Dinh National Stadium, Hanoi. Vietnam is ranked the first position in Group K.
The goals thanks to Ha Duc Chinh, Thanh Chung, Dinh Thanh Binh, Viet Hung, Tan Sinh and Quang Hai. With the gap victory, the team under coach Park Hang-seo ranked the first position in Group K.
The triumph will create inspirational motivation for the Vietnamese team before next match against Indonesia on March 24.